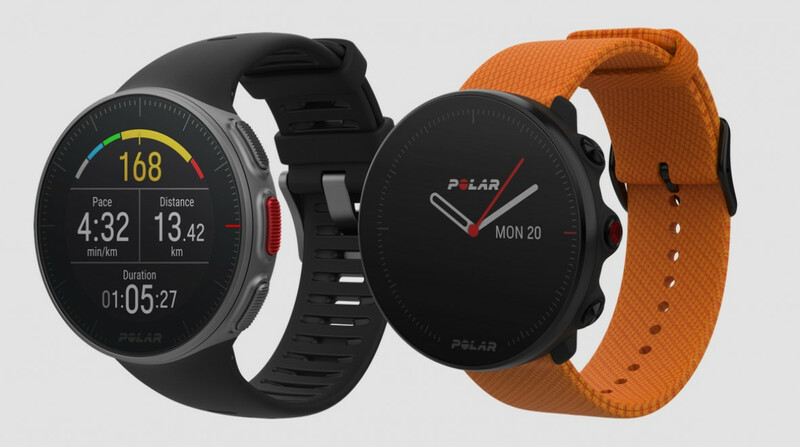 Polar has announced the Vantage V and Vantage M, a pair of running watches that bring running power and advanced heart rate tracking to the wrist. Successor to the Polar V800 and a new entry-level multisport watch, respectively, the company indicates that both the V and M will feature its new proprietary heart rate technology - Polar Precision Prime - which uses three methods to provide accurate heart rate. Unlike traditional optical tech, Polar's two new GPS watches will offer nine optical channels, using several colours and wavelengths of light, 3D acceleration and even an electrical sensor that measures the quality of sensor-to-skin contact. However, there are some differences to be aware of with the Vantage V (shown below) and Vantage M. Since the former is replacing the more advanced V800, this takes over as Polar's sports watch flagship. And as a result, more advanced features are in tow. The headline of that pack is Polar’s Running Power, a metric popularised through the likes of footpods that now comes to the wrist to unify several pieces of data into one number. That number, of course, represents the power that the wearer produces when running. But the advanced tracking doesn't end there for the Vantage V. Training Load Pro, which bands together muscular load, perceived load and cardiovascular load into one, helps users understand what state their body is in to exercise, while Recovery Pro gives and indication of the balance needed between training and rest. Add this to the Running Index (Polar's way of estimating your VO2 Max), sleep monitoring, continuous heart rate tracking, swim metrics, free running programmes and more insights and planning available through Polar Flow, the Vantage V, on paper, appears to be one of the most advanced running watches we've ever seen. And despite an always-on touch screen display, Polar says that the Vantage V can hold out for up to 40 hours of continuous training. But, of course, not every user needs to dabble with high-end features, which is where the Vantage M (shown above) comes in. Still offering the above features and Polar Precision Prime heart monitoring, the new budget multisport device instead foregoes the wrist-based Running Power feature (though wearers can still sync up a compatible third-party power meter) and focuses on providing tracking for the same 130+ sports as the Vantage V and give insights through Training Load Pro, Recovery Pro and Polar Flow. It's also able to stay charged for 30 hours of continuous training, according to Polar. The Vantage M is available for pre-order today at from the Polar store for £249, with small/medium sizes coming with a black or white straps and sizes medium/large available in a black, white or red strap. The Vantage V is also available for £439, coming with black, white or orange straps. There's also a Vantage V bundle that includes the Polar H10 chest strap , which is available for £479. We don't yet know when exactly the two new watches will launch, but stay tuned for our full reviews coming soon and be sure to check out our first impressions of the Vantage V.